I look forward to meeting you over a handshake sometime. All the best to you. and I would love to help you with your mower project however I can. race cars and a little bit with Raspberry PIs and Arduinos. see is some hard math. We have had a busy year, and I am excited about the great things the team has achieved. As you may have heard, Drobo and Nexsan are now a part of StorCentric, a storage focused and customer centric parent company. I would like to explain why we formed StorCentric and our vision for the future. We developed StorCentric to further innovate on-premises solutions, beyond the cloud. On several occasions, people have come to us requesting a solution for replacing, replicating or backing up their cloud storage due to ownership concerns. Customers are getting wary of their data being held hostage by public cloud providers and the excessive network-related charges to recall it. I am not saying that everything is moving back to on-premises storage, but I do believe that we will live in a hybrid world. This will be a combination of on-premises and cloud storage; in which users will have control of their data, not third parties. This vision motivated us to form StorCentric. With the creation of StorCentric, Drobo and Nexsan will remain independent from a branding standpoint. Customers and partners will not see any disruption with their day-to-day interaction with both companies. We want to reiterate that Drobo and Nexsan are here to stay and StorCentric will allow both brands to grow in new and innovative ways. Over the year, Drobo has encountered achievements and challenges. We launched a world-class ambassador program, that includes some of the best artists from the photography, video and design industry. We know it is world class because our competitors created similar communities; and imitation is the greatest form of flattery. The demand for our products continues to be strong, however we have encountered supply chain and certification obstacles that has delayed product shipments. We are working hard to resolve these issues, and are excited to elevate the storage industry over the coming quarters with new products customers have been asking for. These new innovations are a direct response of our customer centric focus. Did you know NASA is a Nexsan customer? And a Drobo customer? We have seen this mutual customer base more and more as we started working together. This validates our assumption that customers need a full portfolio of storage solutions to control and manage their data. 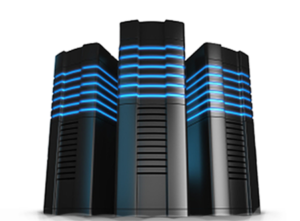 Nexsan is able to satisfy larger customers who demand performance and high availability. With over 20 years in business, Nexsan has over 40,000 units installed, in more than 60 countries. I have been told that some customers have their earliest Nexsan products still running! That is amazing. The advantage of bringing these two companies together, is that there is little overlap in terms of products. We strongly believe there are opportunities for a business to benefit from utilizing both product lines. For example, in a large organization with branch offices, you can place Nexsan devices at HQ and Drobo devices at the branch offices. We will continue to support and invest in Nexsan technology. This innovation will provide IT professionals with high-performing, high value storage suited for their needs. We will also implement technical and business improvements, in order to optimize the experience for customers who have both Nexsan and Drobo products. My vision for StorCentric is simple. We are focused on providing the tools and resources to help our customers solve their workflow challenges. We have laid out an aggressive growth strategy to achieve this vision with mergers and acquisitions being a key component. We plan on looking at software, hardware and service companies; with a storage focus to build out the StorCentric platform. I want to thank our team, customers, partners and investors for all of their support and contribution. I am excited for the future of StorCentric with the Drobo and Nexsan brands, and look forward to updating you on our progress in the months to come. First, I’ve followed you on/off from your days at home server show. Congratulations to you for keeping the video cast going. Second, a few weeks ago you and Mike talk about smokers and barbq. Being raised on a large farm and ranch in the Texas Panhandle, we tend to know a few things about smoking meat ! Please pass this onto Mike as both of you should know about Robert and Vicki Myers’s company call R&V Works. You should be able to see some of their products at Bass Pro locally. They are best known for the Cajun Fryer but also make other outstanding outdoor cooking equipment. https://cajunfryer.com/ including a Cajun Express Smoker. Check out their smoker as I think it exceeds your requirements at ~$1,200, not the $6K Mike was talking about. I own a custom fryer that Robert’s team built for me and use a charcoal/wood smoker/cooker that was made by a Mike Tiernan’s company in Amarillo called Son of Brisket. Lastly, I make my living outside of the technology space, but have been a nerd before birth ‘as my kids tell the story’. Over 30 years ago, I was using X10 to control switches and plugs with their controller. Today, it so much easier, and far more reliable with Insteon/ZWave/Wifi enablement and an ISY994 controller. In our home and weekend place, there is not a switch or outlet that doesn’t have an IP address of some type. Started my home networking journey years ago with a HP Micro Server and today run a racked Lenovo Dual CPU, 2012 Server R2, Edge Router and PoE Switch (cameras) and 2 Unifi AC/HD access points (down/upstairs) with CAT in most rooms in the house. Bought my first Sonos player in 2005 and have 14 players today between our two homes all running either on CAT or my Wifi. Oh, and I should not forget Alexa, she gives me voice control over the ISY controller and Sonos with units sprinkled in/outside the house, simply brilliant! All desk/laptop data is stored on the server (or OneDrive) and backed up internally to USB drive and Crashplan Pro. The $120 per year for Crashplan for me was a bargain. Jim, please extend my thanks to Mike as well. I certainly enjoy the new format and keep up the great work. Get a Lifetime of PlayOn Desktop for Just $19.99. Get set for the Fall TV season with a lifetime of PlayOn Desktop. For just one payment of $19.99 you can record and download any video from ABC, CBS, NBC, FOX, The CW, Netflix, Hulu, Amazon, HBO, and More. Automatically skip the commercials when you watch. This is our lowest price ever. Ripple had a nice little spike today. Rumors are they are actaully going to release a product. I have nothing to back that up.